If so, reserve the date when Lauren Moses will speak to your team, department, or organization. Use the form below. Lauren A. Moses earned her Master of Business Administration degree from Harvard Business School. After four years at JPMorgan Private Bank, she left in 2011 to launch Peace And Joy Today, LLC, a company dedicated to providing a roadmap for Americans seeking more balanced and tranquil lifestyles. Her “Inspiration Kits” are an emotional snapshot of our country during this tough economic climate, and provide insight into unlocking personal motivation every day. Her first spoken word album, Inspiration Kit #1, has been available on iTunes since January 2012. 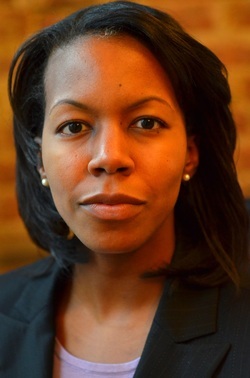 Lauren Moses is available to speak at conferences, seminars, and corporate events.